The PowerMAG EEG was specially developed for the high-end research user. 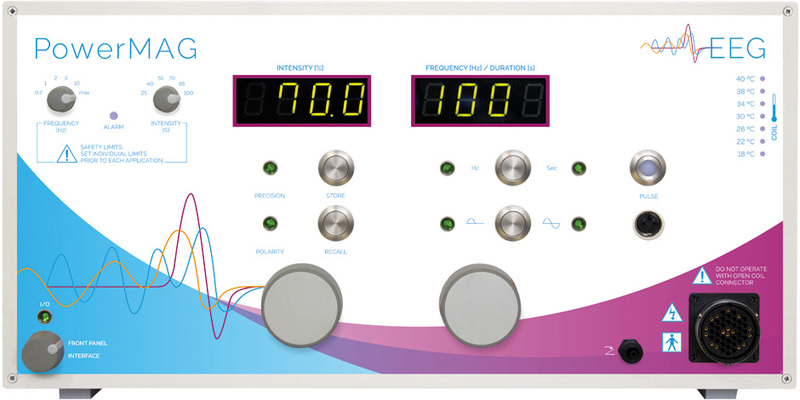 Powerful high-frequency TMS (including Theta Burst Stimulation) as well as high-precise single pulse and paired pulse protocols are available in one standalone device. Furthermore, all technical features of the PowerMAG LAB research are included.